← Middle Age Midsection Spread! Why and How to Fix It! I love chicken tenders, but I don’t want a lot of carbs and I don’t want it breaded. I am avoiding wheat because it makes my belly stick out and it is full of carbs. Here is a South Beach version of chicken tenders. I made them and they are really good and SUPER easy to make. Less than 30 minutes. Don’t forget to get some dipping sauce (low-carb of course). Mustard-based is a good choice. There is probably less than 3g of net carbs in this entire batch of chicken that I made! Almond and flax are good for you too! Here are my pictures of the finished product. Recipe follows. Turn on the oven to 400F/205C. Brush a baking sheet liberally with olive oil and put the pan in the oven to heat as the oven preheats. Trim all visible fat and tendons from chicken breasts, then cut each breast into 5 nugget pieces (or more if you have a very large breast.) Use a meal mallet or something heavy to pound the thicker nugget pieces so they’re all the same thickness. 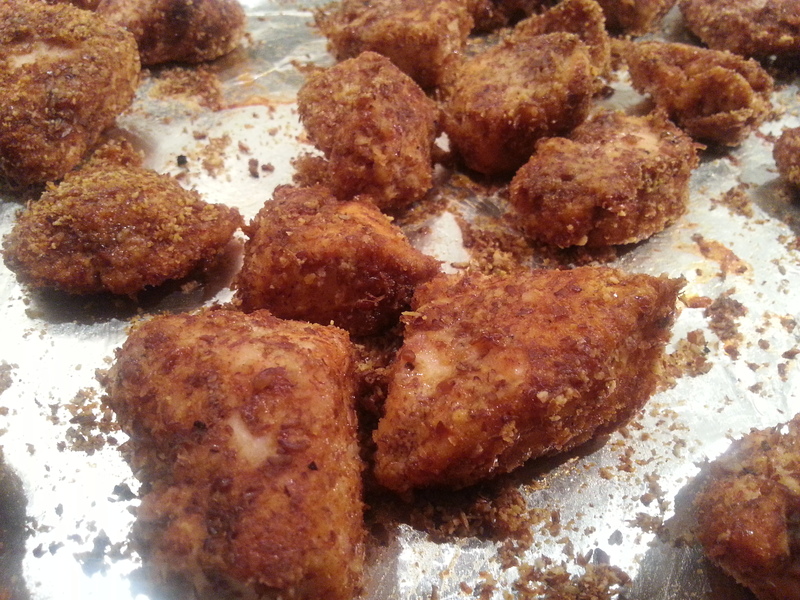 Combine the almond meal, paprika, poultry seasoning, salt, and pepper in a bowl, mixing together well. 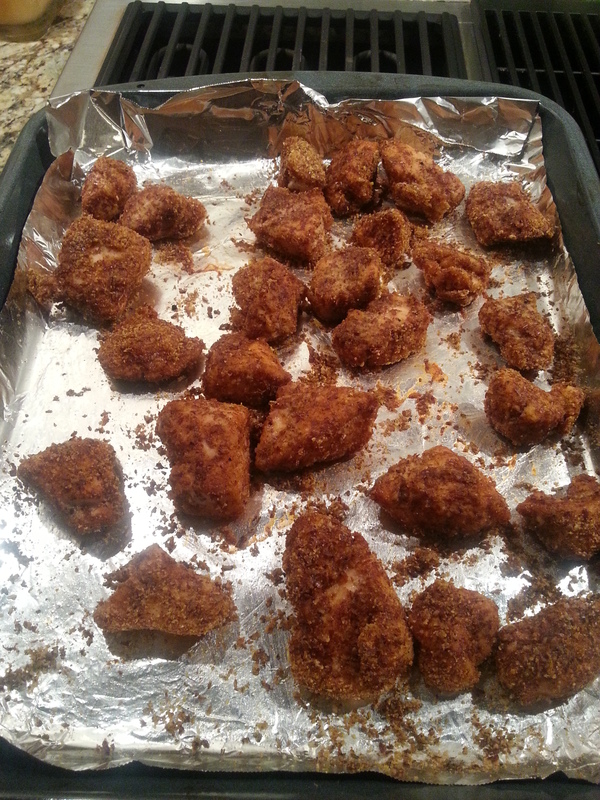 Dip each nugget piece into the almond meal mixture, pressing on with your fingers so it coats the chicken. Coat all the nuggets before you remove the baking sheet from the oven. When all nuggets are coated, lay them on the hot baking sheet and cook 8-10 minutes, or until the side touching the pan is lightly browned. Remove pan from oven, turn nuggets, and bake 10-12 minutes more on the second side, until nuggets are lightly browned and cooked through. (Don’t overcook.) Serve hot, with mustard or ranch dipping sauce if desired.